SEATTLE--(BUSINESS WIRE)--TCS World Travel, the world’s leading tour operator of private jet expeditions, today announced its highly anticipated 2020 schedule of global and regional journeys. These all-inclusive itineraries combine natural wonders, iconic landmarks, “first chance” destinations, exclusive experiences and transformative moments. 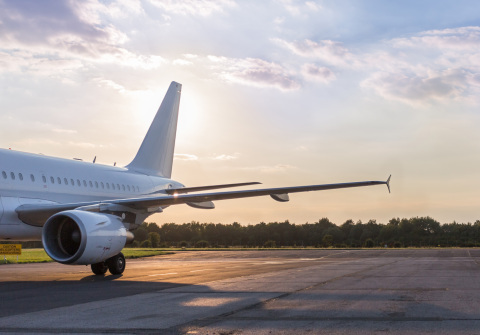 In addition to its custom Boeing 757 private jets, reconfigured with 50 or 76 seats, the award-winning company will offer its 2020 regional itineraries on an Airbus A318-100 private jet. With seating for 28 guests, this jet has the range to cover longer distances but is also nimble enough to land in remote destinations hard to reach by commercial air. For over 25 years, TCS World Travel has been enriching lives through its standout luxury jet expeditions and custom travel itineraries. 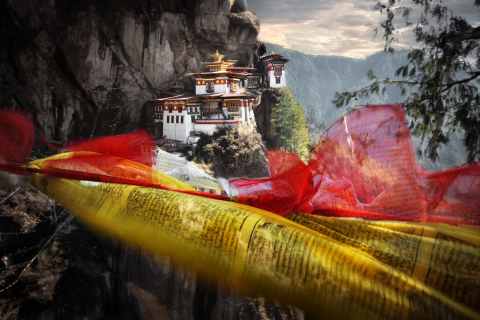 The pioneering private jet tour operator continues to embody the explorer’s spirit by blazing new trails in off-the-beaten path destinations including Azerbaijan; Accra, Ghana; and Minsk, Belarus, and providing one-of-a-kind access within remote and hard-to-reach locales such as Bhutan; Madagascar and Lizard Island, Australia. As emerging destinations become more accessible and new opportunities present themselves within a particular region, TCS World Travel introduces “first chance” tourism with its 2020 schedule. Among the many “firsts” that TCS World Travel’s well-traveled guests will encounter: access to unique and hard-to-reach UNESCO World Heritage sites such as Australia’s Uluru-Kata Tjuta National Park and Fernando de Noronha Marine National Park in Brazil; an introduction to emerging regions including Armenia; Mozambique; Vilnius, Lithuania; the Faroe Islands and Luang Prabang, Laos; and a reintroduction to familiar destinations such as Morocco and Iceland by exploring the less-visited parts of the country. Due to its new Airbus A318-100 jet offering, the company’s 2020 regional journeys will allow guests to travel longer distances while still navigating remote destinations. This jet features a spacious interior with 28 flatbed seats, so TCS World Travel can continue to provide the same high level of ease and service for which they are known. For additional information or to inquire about any of the following itineraries, please visit www.tcsworldtravel.com or call 800-454-4149. Each of these inspired itineraries takes guests around the globe, across a continent or deeper into a country or region on a customized aircraft with flatbed or business-class seats. Explore the natural and cultural wonders of Africa from the jungles of Rwanda and vineyards of South Africa to the vast plains of the Serengeti. Journey from the cultural heart of Europe to fabled outposts on the Silk Road, with stops in emerging destinations such as Montenegro, Georgia and Uzbekistan. Track the midnight sun across Northern Europe, from the remote reaches of Iceland to the majestic Norwegian fjords and the untouched beauty of the Faroe Islands. Seek out the remote corners of the Atlantic Ocean where dramatic landscapes and age-old traditions have been shaped by the sea, including a stop at the UNESCO-listed marine park on Fernando de Noronha. Delve deep into the history and culture of Brazil with stops at three of the country’s UNESCO World Heritage sites: Iguassu Falls, Pantanal Wetlands and Discovery Coast Atlantic Forest Reserve. TCS World Travel leads the industry in private jet journeys with the experience and knowledge built from developing hundreds of trips for 25 years. Dedicated to delivering immersive, worry-free travel experiences, TCS World Travel caters to the needs and preferences of the globally curious and modern luxury traveler while living up to the spirit of their initials: Travel. Connect. Share. TCS World Travel provides unparalleled local access and exclusive activities tailored to any travel style. Circle the globe or take a dive deep into a region on a luxury private jet expedition, or embark on a luxury custom itinerary created to any destination in the world. TCS World Travel announces 2020 expedition schedule, featuring "first chance" destinations and exclusive experiences, and the addition of the new Airbus A318-100 jet option for regional journeys.